Indeed, ease and simplicity are something important in accessing information. That’s why in this Panasonic Lumix DMC-FX60 Manual writing, we enclose the Table of Content of it. with this Table of Content, you can easily go to the certain part of this article simply by clicking on the sub topic below. It is already stated before that a manual book is an important complement for an electronic product, especially for digital camera product. With this manual, users will be able to know the basic information about their camera product. This information covers something like specification, setting, features, instruction, and other beneficial info. Therefore, with this manual, user will be able to learn more about this camera product. This is the biggest motivation for us to bring the Panasonic Lumix DMC-FX60 Manual on to the surface. With this manual, we hope that we can help you understanding this camera better than before. One of considerations of people in buying a camera device is on its look. However, look plays a big role in attracting people’s attention. Further, look is also representing the vision of the company, the value, and sometimes the features inside the device itself. So, before going further to the Panasonic Lumix DMC-FX60 Manual and specification, here we are going to talk about the look of this device first. Once again, we can see a great piece of device from Panasonic. It is called Lumix DMC-FX60. This is a point-and-shoot camera with a small size and light weight. With this camera, the company is targeting the casual users. The casual stylish look of the camera let the casual users to be comfortable with it. The lens from Leica is become the most impressive thing in the camera. That cool Leica lens will let you capture a great quality of images. Thanks to its 25mm focal length with ultra wide angle capability. Overall, it is an outstanding thing for a slim camera like this DMC-FX60. The stylish design for casual users is also specially made in this camera. You can sense the solid feel by holding it. This pocket sized camera appears identical to previous model, the FX40. The aluminum body of FX60 is just as same as FX60’s. The boxy, slim design of it makes it a perfect casual companion for you. Some available colors are Black, silver, blue, or violet. With these color choices, you will be able to choose one which is suitable to your needs. Moreover, there is a 2.7-inch LCD monitor on the rear side. And with this casual camera, you can record HD videos in 1280 x 720 resolutions with component video output. You can find the complete version of Panasonic Lumix DMC-FX60 camera specification in the Panasonic Lumix DMC-FX60 Manual. But, to give you the previewing of it, here is the brief version of Panasonic Lumix DMC-FX60 specification. Here, you can see there are two major improvements over the FX40. The first one is on the Power Optical Image Stabilization (O.I.S) system. In this Panasonic camera edition, the OIS system is getting way much better than before. While the second one, is the AF system which becomes two times faster than the previous camera, FX40. Moreover, the Venus Engine V in this camera has already been enhanced too. As the result, you will get an outstanding imaging result because of that. Other review about this camera, please visit this webpage. It is actually not only the AF that is faster now, but also the start-time is also faster than before. The fantastic thing about this camera is on its ability to shoot steady 1/4s exposures even in the low light. While for video recording, it allows you to record videos in HD using a 120×720 format at 30 frames per second. The file will be saved in Motion JPEG format. This camera is in a competitive marker area. Indeed, there some other compact cameras offer similar features with various prices. But, you need to be smart to choose which one suits you the most. 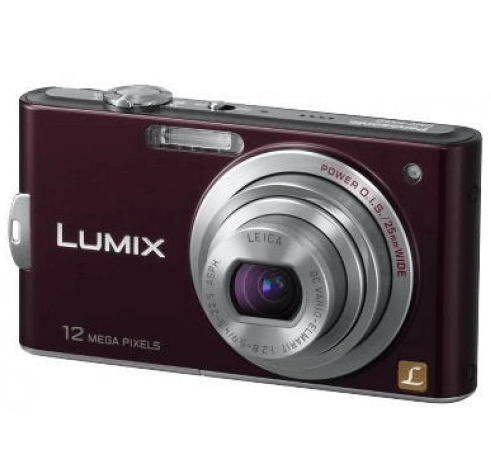 As said before, the Panasonic Lumix DMC-FX60 is targeting the casual users. So, the designs and features are specially made for them. While in the pricing area, this camera is worth 244 pounds. Comparing with other camera that has the similar designs and features, that price is a little bit higher. But, you will find out that the quality is different among brands. It is already stated before that the aim of providing this article is to bring the Panasonic Lumix DMC-FX60 Manual on to the surface. With this manual, we hope that we can help users in understanding this camera product. But, there is one thing to note before downloading the Panasonic Lumix DMC-FX60 Manual below. In order to give you ease and simplicity in accessing the manual, we will provide it in the PDF file format. So, you need to install PDF reader software in your device first before accessing the manual. Read more Panasonic camera manual in this page and here for other brand of digital camera manual user guide. Finally, that’s all of the information regarding to the Panasonic Lumix DMC-FX60 Manual. We hope that this information could be beneficial and helpful for you in overcoming certain issues toward this camera product. Further, if you have any other ideas or opinion regarding o this matter, you can put them in the comment session below. And if you think that this writing I informative, sharing it in your page will be so much appreciated.